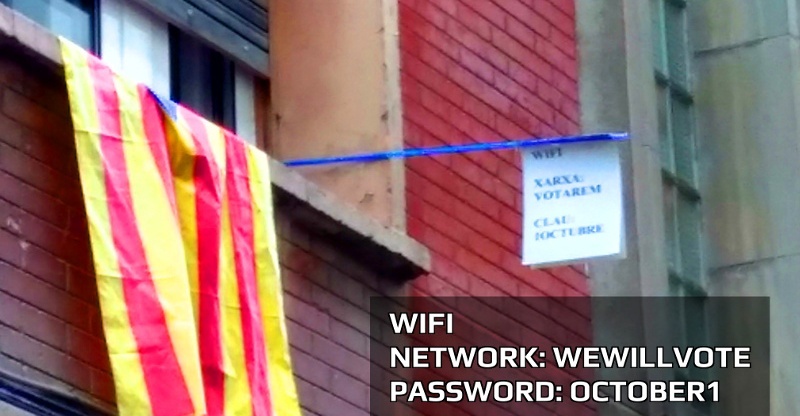 In the last few days, Catalonia has been the testing ground of what we have always denounced or, in other words, the fact that the space of the Internet has yet again been subjected to a state of exception which “democratic” governments wouldn’t dare to apply to physical space because this violation of rights would immediately be visible. Proof of this is that many of the shut-down websites belong to associations with physical premises. At first, no authority risked ordering that these centers should be closed. On September 13 a court order shut down the web page referendum.cat. Thus began a game of cat-and-mouse between the Spanish government hunting and the people and Catalan government resisting. In ten days more than 140 websites were blocked. The project OONI by Tor and nodo50 include a non-exhaustive list of affected domains and information on the type of block. 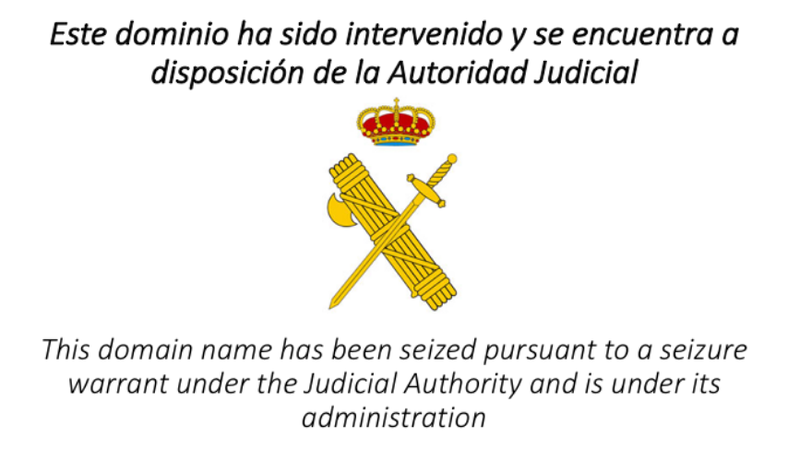 As part of this state operation, on september 20th the Guardia Civil raided the Puntcat headquarters of Top Level Domain .cat, confiscating IT equipment and data, and detaining one of its IT managers. This disproportionate measure, which is unprecedented in the European Union, may imply the possibility of opening the way for something we have been struggling against for years, namely domain managers being held responsible for content. One of the most common errors made by citizens has been their use of servers with few and poor legal guarantees for the client. A case in point is the insistent use of .cat, which falls under similar rules to those of the Spainsh .es domain. These come under the control of .es, and therefore the Spanish state, which shows no concern for civil rights, in contrast with other generic domains (.net, .org, .com…) with are overseen by ICANN and other organizations that do respect basic rights. We believe that it is important to stress that we shouldn’t need martyrs to prove that a struggle is just. We must make every possible effort to ensure that the people who are struggling for their rights don’t suffer reprisals. In this regard, Xnet has tried to give an overall explanation of how to avoid this and other useful information in a Guide that seeks to protect people who work with the Internet from unjust repression. This initiative is part of a set of actions designed by the lawyers and organizations of #SomDefensores to defend basic rights. The president of Catalonia, Carles Puigdemont—thanks also to help from experts who have actively and continually been engaged in working for the defense of rights have recommended the use of proxies in social networks in order to gain access to blocked websites. He subsequently announced that IPFS had also been used as a distributed tool for housing the website giving citizens information about where they should go to vote. On September 23, the High Court of Justice of Catalonia ordered the “blocking of websites and domains which are publicized in any account or official social network of any of the members of the Government of the Generalitat which, directly or indirectly, even referring to other accounts, give information on how to access domains whose contents are related to those that are now blocked” (). This was not just a matter of a specific list of sites but a general order giving a free hand to forces of security in ordering Internet providers to shut down websites.